Vanishing Paradise has identified priority projects in the Mississippi River Delta that can signal the beginning of an era of stewardship and healthy recovery. The Sportsman’s Paradise at the mouth of the Mississippi River provides some of the best hunting and fishing in the U.S., but it’s disappearing at an alarming rate. The good news is that solutions do exist and we can restore Louisiana’s coast. One of the most significant factors leading to the near collapse of the ecosystem is the straitjacketing of the lower Mississippi River with huge levees, cutting the tie between the river and its delta. The Mississippi River Delta's wetlands were built and sustained by sediment delivered by the river. The sand and mud carried by the river and its tributaries is the foundation and the lifeblood of the delta. We must use every tool in the restoration toolbox to stop the land loss and start building land – including projects called sediment diversions. Sediment diversion are designed to mimic that natural process and strategically allow sediment from the river to build and sustain new, healthy wetlands. This is hands down one of the most important things we can do to rebuild our Mississippi River Delta – to reconnect the river with its wetlands. Without land-building sediment deposits from the river, the delta is doomed to continue sinking beneath the water – jeopardizing the vital fish and wildlife habitat it supports. Vanishing Paradise has identified priority projects in the Mississippi River Delta that could signal the beginning of an era of stewardship and healthy recovery for delta and the entire Gulf Coast. The projects will jump-start restoration and best meet goals outlined in the RESTORE Act, the Gulf Coast Ecosystem Restoration Council’s Initial Comprehensive Plan, National Fish and Wildlife Foundation’s requirements and the goals of the Natural Resource Damage Assessment. View the full list of priority projects in Louisiana at Restore the Mississippi River Delta Coalition. Also known as Mississippi River Reintroduction into Maurepas Swamp, this diversion project, near Garyville, Louisiana will channel fresh water and some sediment from the river to benefit the eastern Maurepas swamp. Dominated by bald cypress and water tupelo trees, this swamp is one of the largest forested wetlands in the nation. However, levees constructed along the river and the closure of Bayou Manchac have isolated the area from spring floods that once provided vital fresh water, nutrients and sediment. This along with higher salinities that were throughout the Pontchartrain Basin before the closure of the Mississippi River-Gulf Outlet has left the swamp in a state of rapid decline – trees are dying, and young trees are not growing to replace them. The East Maurepas Diversion will benefit the swamp by reconnecting it with the river, preventing further loss and the conversion to open water, and push back against future increases in salinity due to sea level rise. . Increased fresh water and nutrient input in the Maurepas Swamp will help prevent further conversion of swamp to open water and combat saltwater intrusion into the more than 100,000 acre Maurepas Swamp Wildlife Management Area which offers opportunities for sportsmen to hunt white-tailed deer, ducks and alligator and fish for freshwater species, such as largemouth bass, sunfish, and crappie. This project will be located along the east bank of the river, near White Ditch, Louisiana. This sediment diversion will supply fresh water and sediment into deteriorating marshes of the Breton Sound Basin. The wetlands in the project’s influence area have disappeared due to changes in the supply and distribution of fresh water, sediment starvation, rapid subsidence, saltwater intrusion and storm events. This project will reconnect the wetlands in the mid-Breton Basin with the river, diverting sediment and fresh water to build new land and sustain existing marsh. 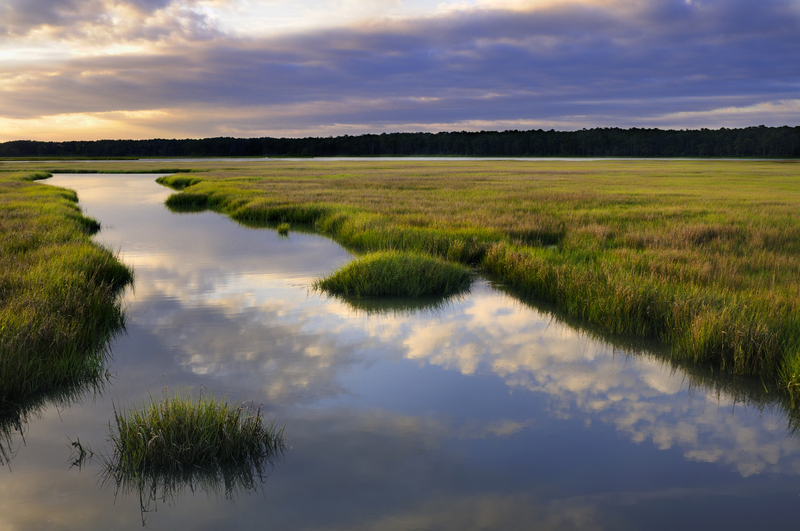 This project will build, enhance, sustain and protect wetlands in the mid-Breton Basin. The project will also help restore and maintain the estuarine gradient (fresh water habitat in the upper basin to salt water closer to the Gulf) that is vital to the estuary’s fish, blue crabs, and waterfowl, other species and recreational fish species in the Gulf. This sediment diversion project is located on the west bank of the river, near Myrtle Grove. The brackish and freshwater wetlands in the area are highly degraded due to saltwater intrusion, decreased fresh water supply, alterations to the natural flow of water in the area and a lack of sediment input. This project will reconnect the river to the Barataria Basin and divert sediment and fresh water to build new land, maintain existing marshes and increase habitat’s ability to persist in the face of rising sea levels and recover from storm events. By building new land and helping to sustain the existing wetlands, this project will restore and enhance critical habitat for fish, ducks and other wildlife in mid-Barataria Basin. This project will also help to sustain the Barataria Landbridge which protects freshwater habitat in the upper part of the basin that provide recreational opportunities for sportsman, including the 30,000 acre Salvador/Timken Wildlife Management Area and the 20,000 acre Jean Lafitte National Historic Park and Preserve, from the saltwater intrusion and storms.